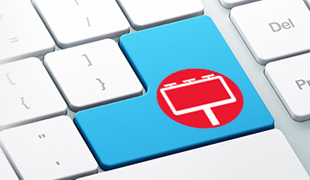 The sign and display graphics market is one of the most exciting, profitable, and fastest-growing segments in the print and packaging industry. EFI’s latest technologies for sign and display graphics production allow you to print on a wider range of substrates than ever before, with vibrant, photo-realistic images and white ink that makes graphics pop, and at production-level speeds to keep you competitive and profitable. 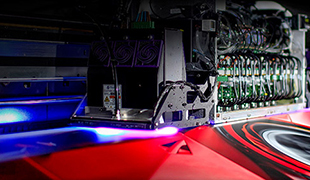 What’s more, EFI’s powerful, world-class ecosystem of color management, digital front ends, and productivity software tools ensure you’re delivering outstanding digital color and driving unnecessary costs out of your production processes. EFI helps you save money on every job in every step of the workflow from acquiring business throughout estimating, planning, scheduling, prep, production and delivery. Industry leaders are using our advanced software solutions to improve response times and increase throughput, ultimately winning more business and keeping more money from every job. Deliver eye-popping images with bright, consistent and accurate color, and print direct to almost any rigid or flexible surface at true production-level speeds. EFI VUTEk inkjet printers will help you reach new levels of competitiveness, profitability and growth. From cut marks to print & cut, tiling to advanced nesting, our scalable wide to superwide format solutions give you all the tools you need for more precision, media savings and the best possible color results. Add to that renowned Fiery productivity and you have it all. LED printing – with its cool cure capabilities – changes the equation. 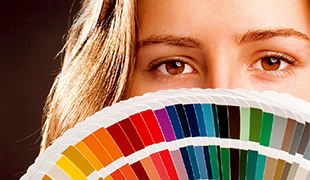 The quality of the ink and its stability in these post-printing processes is critical.